Secondly, we fought a hard contest with NetCoins, where the community voted once a day, We really appreciate everyone who participated during this contest, well done! 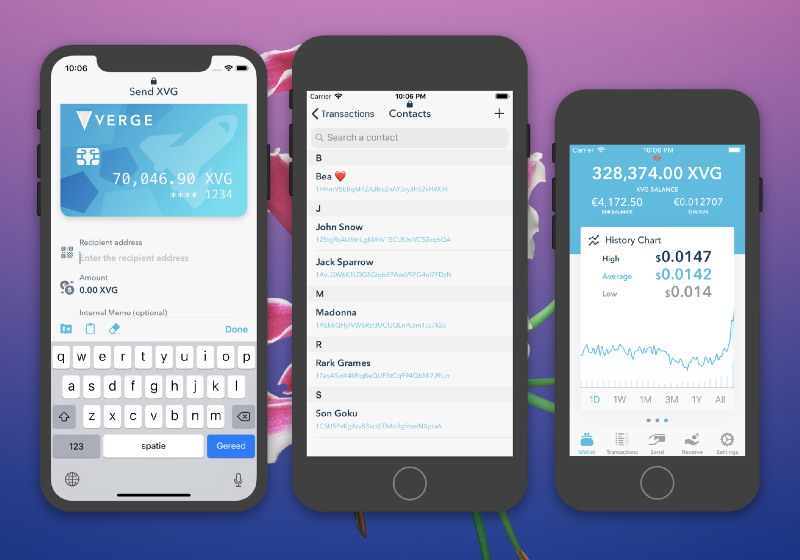 And finally, Verge announced an important joint agreement to push forward mass adoption with NetCents! Welcome to the Verge family. When we are talking about wallet service integration, we are actually talking about a (always on) HTTPS based service; which turns your personal request (i.e. send my 12 XVG to DXYZ123 with fees 0.1XVG) into an internal request which the server administrates for you. It will also make sure all your actions are valid on our blockchain. You may be aware of problems like broadcasting a transaction with at least 4 attempts before getting the correct fees.. Worry no more! This service will actively support you, so that everything will be valid on the first try. Additionally, it also checks your requests for common mistakes (wrong/invalid addresses, wrong balances, incorrect change addresses, unavailable outputs etc), so that you and your funds are safe while processing a transaction. Finally, once all checks have succeeded, the internal service will send it to one of the running nodes to put your transaction into the latest block. How does it sign my request? does it know my private keys (aka. seeds)? You are the one who is holding the actual seed and no one else will ever get it. We will not send your private key anywhere. So, in the end, you will be the one who signs the transaction before the services can finally send it to the blockchain. Are extend public keys stored on your servers? Who generates the addresses for me? Addresses are generated based on the provided HD wallet identifier or the provided public key. Same applies to change address. Finally, the user has the control, which public addresses should be generated and which shouldn’t. What happens if I delete my backup file? When setting up your wallet for the first time, you will receive a mnemonic phrase which you should definitely write down. You also need to remember the initial passphrase you have chosen for your wallet (definitely not to be noted next to your mnemonic). Important : Recovering your wallet with the mnemonic seed will also require you to enter your wallet password to make your wallet usable again! 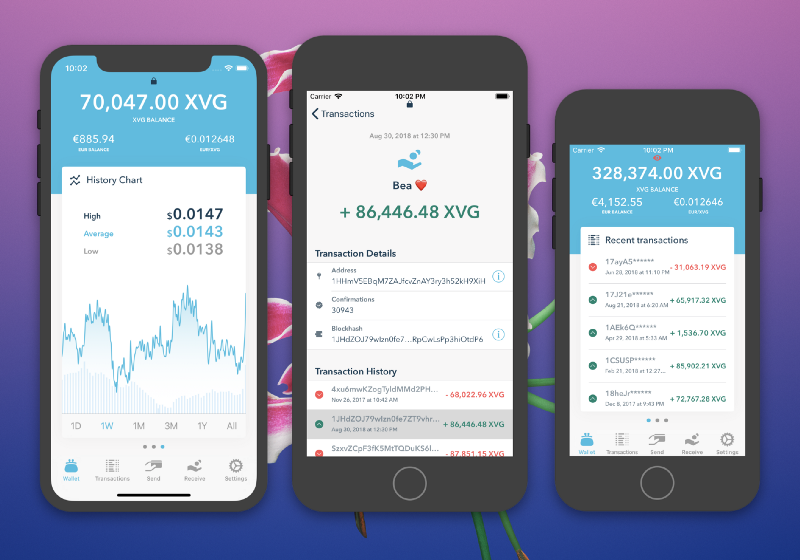 We definitely plan to integrate the stealth generation within our wallet service, but we are not far enough to talk more about it, as of now. We will keep you posted. Nevertheless, we are currently testing this wallet services as an integration base for the vWallet with the current bitcoin-testnet. In the end, we want to finally decide if the service fulfills our needs in terms of usability and/or security/privacy. So the use of the wallet service isn’t final, yet. Just keep in mind that this requirement could be changed at any time. We are also open for community feedback on that. Last couple of weeks we polished the Tor implementation some more and then moved on to the next items on the list. We got to work on the history price chart for a few days. We show the highest, average and lowest price on the current selected chart. We enabled you to select from a day, week, month, 3 months, year and all history data charts. The blue line-chart (upper one) represents the price in USD. The bar-chart (lower one) represents the trade volume in USD. Currently, we only have the USD data available . Hopefully in the future we can select history data for the selected fiat currency. After the history chart, we moved on to the transactions detail view, and fixed some minor missing features and other bugs. Currently we’re working on implementing the address book. The initial release will only enable you to store an address with a name. When opening an address from the list you’ll also see a transaction history list. After integrating the address book the plan is to focus on the receiver view, the remaining setting views and add missing key feature. Once that is done we will start focusing on integrating the actual wallet technology. Lastly, If you enjoy seeing these bi-weekly updates sign up on our forums to receive notifications for new updates and announcements.